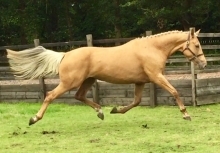 My Royal Cooley, “Roy”, 10yr old 16.3hh ISH gelding, imported from Ireland. Successfully competed up to intermediate, has qualified for a 2*. 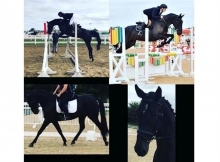 Superb cross country horse that would be perfect for someone looking to gain experience at the preliminary and 1* level, could easily go beyond with the right rider. Hacks out alone or in groups. Easy in the barn, can go out with other horses, clips, ties, and stands perfectly for the farrier. Video available on request.